Kevin Kuhn is a civil trial attorney. He has extensive experience in the defense of medical malpractice lawsuits and other professional liability matters. In addition, he handles both plaintiff and defense personal injury matters and product liability cases. Kevin is a Fellow of both the American College of Trial Lawyers and the International Academy of Trial Lawyers. 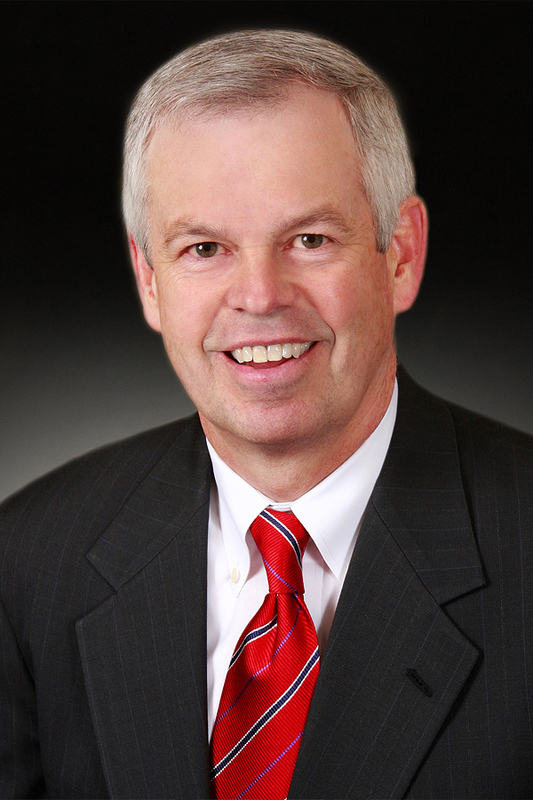 Kevin has tried over 135 cases, including 80 jury trials and over 55 bench trials; defended medical malpractice cases involving physicians, dentists, oral surgeons, hospitals, nurses, and other healthcare providers; defended professional negligence cases involving attorneys, accountants, and real estate agents and brokers; and represented injured parties. In one case, Kevin successfully defended a real estate agent and broker in a real estate negligence jury trial brought by a physician purchaser. He has defended long-term care facilities and mental health professional negligence actions and litigated cases in areas of insurance coverage, premises liability, product liability, oil and gas, commercial law, domestic relations, agricultural products, and employment law. He represents healthcare and other professionals in administrative licensing and credentialing matters and hearings. In addition to his civil practice, Kevin has prosecuted and defended criminal cases. He has extensive deposition experience and expertise in all kinds of civil and commercial cases. He is a frequent and sought-after continuing legal education speaker and frequently speaks to healthcare professionals. 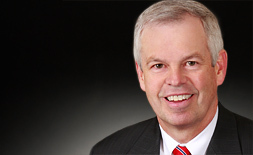 Kevin Kuhn has represented clients in more than 135 trials to verdict, including 80 jury and 55 bench trials. He has extensive experience defending high-stakes medical malpractice and professional liability claims, in addition to catastrophic personal injury and complex commercial litigation. Kevin is a Fellow of both the American College of Trial Lawyers and the International Academy of Trial Lawyers. "Practical Judicial Ethics Dilemmas, the Lawyer's Perspective," presented at the Biennial Judicial Ethics Training for Administrative Law Judges (December 2, 2016). "Closing Arguments," presented at the Colorado Defense Lawyers Association Summer Conference (July 27, 2014). "The Fundamentals of Expert Witness Examinations" presented at the Colorado Defense Lawyers Association's Trial Academy (April 23-24, 2014). "Winning Trial Tactics of 2013 - Choosing Your Audience: How to Decode, Decipher and Enlighten Complete Strangers During Jury Selection," American College of Trial Lawyers and Colorado Bar Association's, Denver, Colorado (November 8, 2013). "CDLA/CTLA Joint CLE – Discovery Issues: How Both Sides of the Bar Can Be More Cooperative in Discovery," Ralph L. Carr Colorado Judicial Center, Denver, Colorado (October 24, 2013). The Catholic Lawyers Guild of Colorado Seminar 2013: Ethics and Beyond- Food for the Journey – "(Lead Us Not Into) Temptations: The Rules of Professional Conduct," October 18, 2013, Sacred Heart Jesuit Retreat House, Sedalia, Colorado. "The Trial Lawyer's Perspective on Judicial Conduct and Misconduct," presented at the Judicial Ethics Training for Administrative Law Adjudicators (January 2013). "Voir Dire - Mastering Persuasion, Eliciting Information and Educating Jurors," presented at, Winning at Trial: Tactics and Skills for 2011, sponsored by the American College of Trial Lawyers (November 11, 2011). "Shoulder Dystocia: Defending the Healthcare Provider," presented at Medical Legal Issues in Obstetrics Practice (November 20, 2009). "Our Courts," presented to Windcrest Independent Living (June 19, 2009). "Making It Right: Compensation, Safety, and Accountability for Children Born in Colorado with Neurological Impairments," Panelist, Common Good Colorado (April 22, 2009). "Voir Dire," presented at Colorado Defense Lawyers Conference (April 16, 2009). "Voir Dire," presented at Colorado Defense Lawyers Conference (August 3, 2007). "Ethics for Military Judges," presented to Interservice Military Judges' Seminar (March 2006/March 2007). "Deposition Conduct Behavior: What's Acceptable, What's Not," Moderator, Faculty of Federal Advocates (January 12, 2007). "Tort Reform Issues," presented at Institute for the Advancement of the American Legal System (November 6, 2006). "Ethics in Managing Claims," presented at Colorado Claims Association (October 20, 2006). "Civil Law Update," presented to Colorado Judicial Conference (September 18, 2006). "Lawyers: Advertising, Consumer Protection Act, and Deposition Behaviors," presented at Louisiana Defense Lawyers Seminar (February 28, 2006). "Discovery: A Practical Approach to Current Issues," presented at Colorado Judicial Conference (September 19, 2005). "Enforcing and Negotiating Settlements," presented at Colorado Bar Association's Personal Injury Litigation Program (May 19, 2005). Healthcare Risk Management Review, "Treating Patients Who Come to the ER with Behavioral Health Issues Brings its Own Set of Risks. HRMR Investigates," June 22, 2015. DRI And the Defense Wins, October 1, 2014.